I would assume that they have a range from X to Y, but always the same type of stat. IE, SOC 75% damage to fire, or SOC 70% damage to fire. Our current conversion items all work like that, so I doubt Crate'd change it without cause. I hope so, bc otherwise it would be even harder to farm the item you want than currently, due to "wrong" modifiers. I wonder if it's possible to have cross-mastery modifiers. Something like "Affects Rune of Kalastor to Ulzuin's Chosen" would be pretty cool. I am kind of on the fence about this particular detail. While it would be nice to have something % wise on a specific piece of gear to be aiming for it would also be nice to have a rare item modifier to make a specific build around. I personally like making builds off of items i find rather than making builds off of an item I might get to drop. Skill Modifiers on items are static. If you find two of a particular Legendary, they will both have the same modifier and it will have the same value. Now, there may be a Legendary or two that roll random modifiers...but that's another story. Thanks for the clarification Zantai. I'm pretty sure the 'armor' image is a screenshot of how one of the sets will look on the character, rather than an inventory thumbnail - I'm reminded a lot of the default 'ready' stance for 1-handed items. 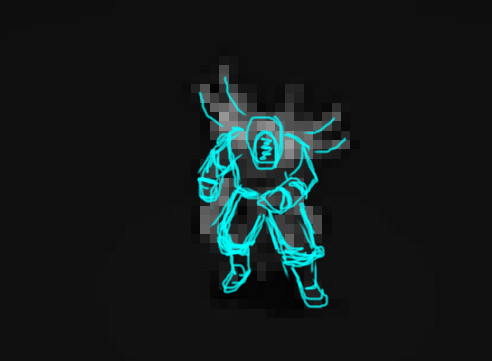 I've attached a crude mouse-drawn outline of where I think the underlying 'pose' is, so it should help give a better idea of what we're looking at. You are good, dude. Way too good. I have a few questions which could be answered by somebody? #1 can I continue my old character with the new game or do I have to restart again? #2 already know about the new names of the combine masteries? Necromancer + Nightblade = ??? to the first point: If I can keep my character. Are there any losses in skills or ability? Maybe less Devotion Points or something like that? 1.) Yes, you can continue with your old character, no there will be no losses. 2.) Yes, they names of the new mastery combinations are known, but i don´t have a list. Last edited by tsuelue; 09-23-2017 at 10:33 PM.